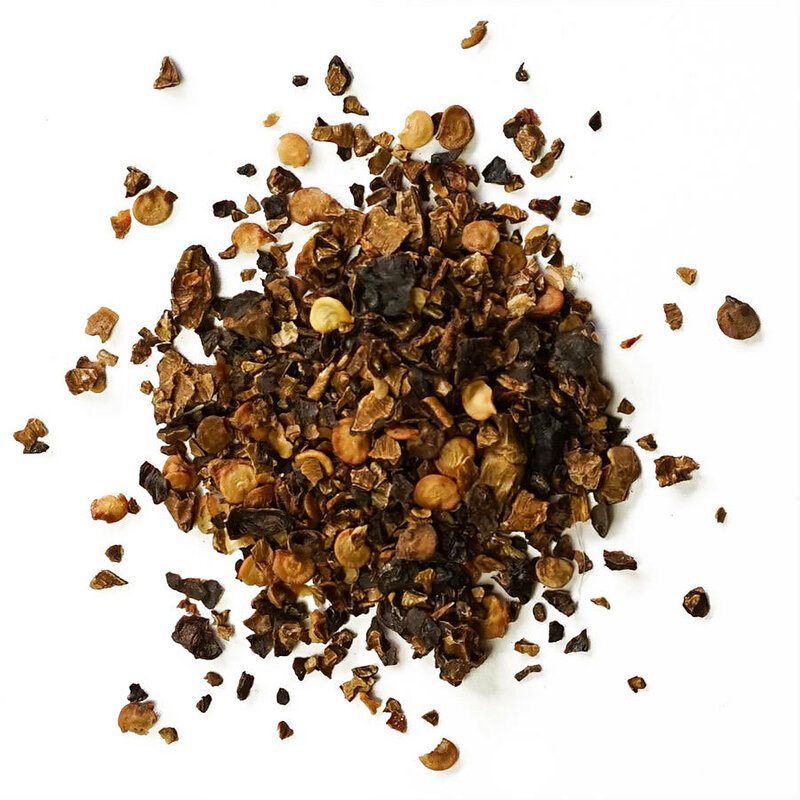 A unique pepper: fruity, smoky, and plenty hot. Cacho de Cabra (“aji” is the term generally used to describe chilies from South American countries) is a smoked chile grown in Chile. It’s one of the most common ingredients in native Mapuche cooking, and is experiencing newfound popularity in contemporary Chilean cuisine. 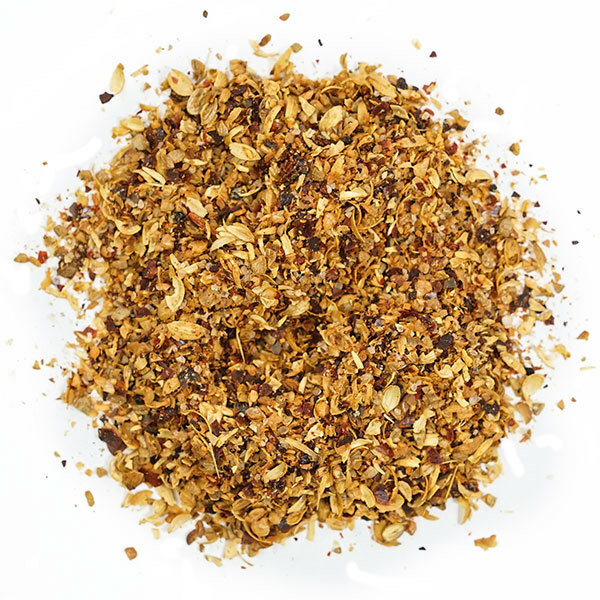 It’s also the pepper used in the famous Merken spice blend, which usually also contains toasted coriander and salt. It can be used, ground, in a plethora of dishes: grilled meat, poultry marinades, chili con carne, soups and stir fried dishes. 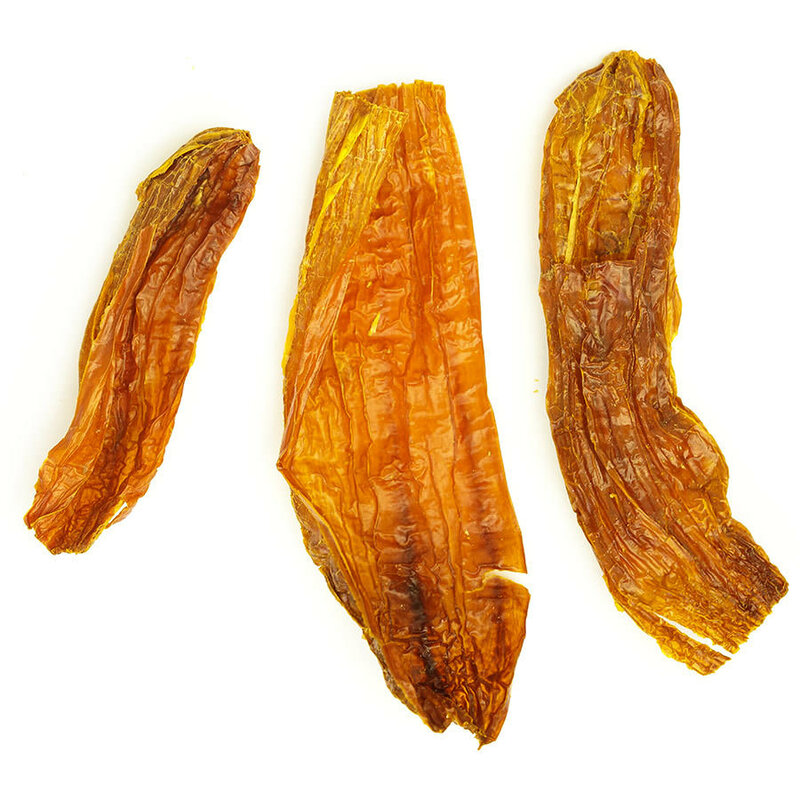 It can also be rehydrated and used for aromatic chili pastes, braising, sauces, or dips of all types. Our cacho de cabra comes from the Maule region in the center of Chile. 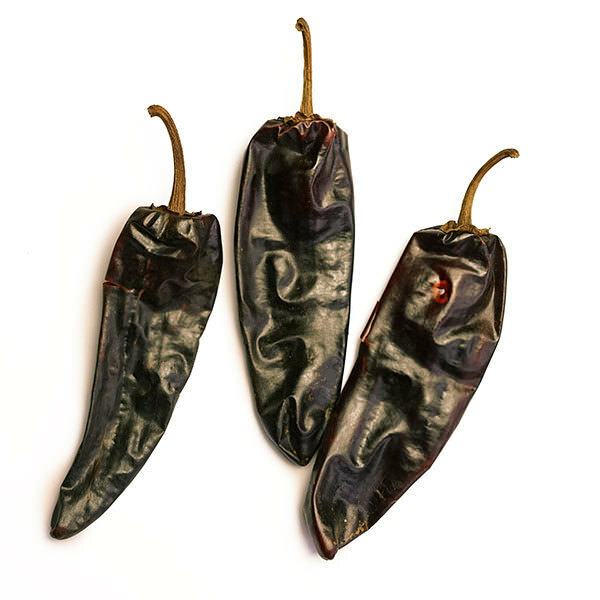 The harvest runs from December to March, when temperatures stay above 30° C. These high temperatures give this chile pepper its body, heat, and exceptional flavor. These peppers are harvested by hand, then allowed to sun dry naturally. After being exposed to the sun, the chilies are rested in a mud smoker, usually with local eucalyptus wood, for around a week.